A holiday in the Maldives is so much more than walking barefoot on sugar-soft sand, and even more than swimming in the crystal clear lagoons – these incredible experiences offered at Komandoo should be at the top of your must-do list. Once you step foot on Komandoo it is likely you will never want to leave – and luckily for you, the following must-do experiences are available right here on the island. One of the most unforgettable experiences Komandoo has to offer is the candlelight dinner on the beach. Dine under a star studded sky with the sand beneath your feet, and enjoy a culinary treat with a handpicked menu from our talented chefs. 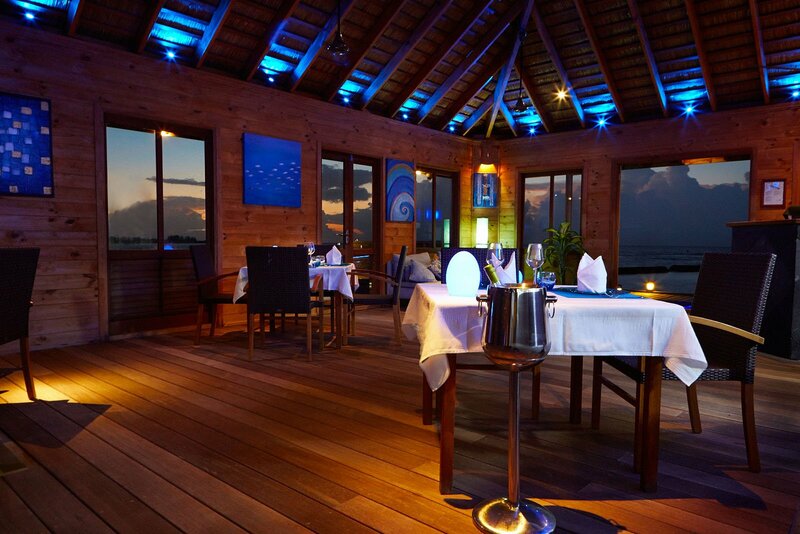 Treat yourself and your partner to the culinary experience at Komandoo’s à la carte restaurant Aqua! Dine over the water on partial glass floors or enjoy the alfresco dining atmosphere on the deck. Visiting Duniye Spa is the best way to relax your mind, body and soul. One of the most popular treatments on offer is the ‘Sense of Touch’ signature massage, which will leave you with a profound sense of calm and balance. Venture a little further afield and more exciting opportunities await – in the ocean, on the ocean and under it too! 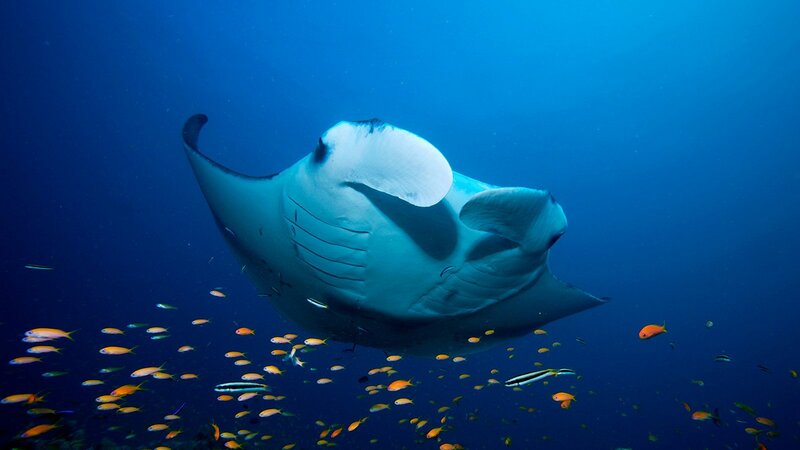 The waters of the Maldives and the Lhaviyani Atoll are one of the few places in the world where you have the opportunity to swim with manta rays! To share the water with these majestic animals is a truly magical experience. 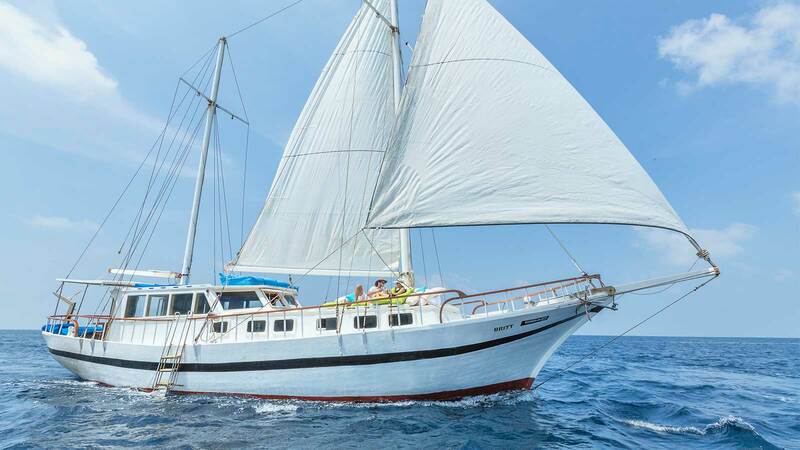 Cruise through calm waters and blue lagoons whilst discovering untouched reefs with abundant marine life. The talented chef will prepare an extravagant lunch on-board. After lunch explore the beach and if you are lucky, grab the chance to swim with mantas! 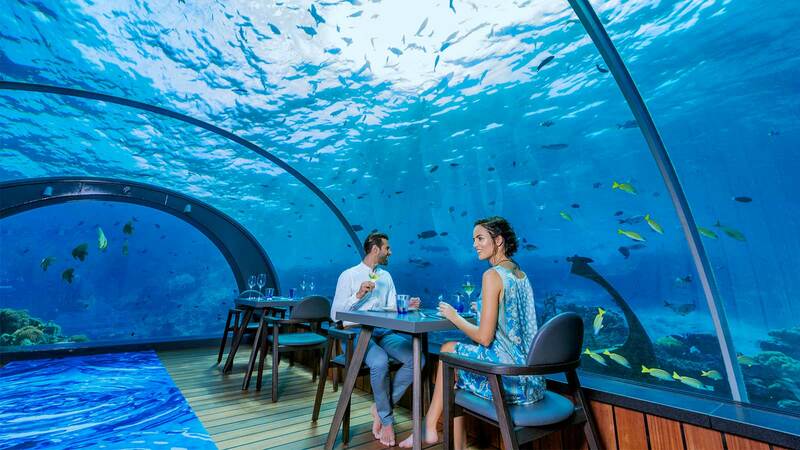 We are pleased to offer guests at Komandoo the chance to dine at our sister resort, Hurawalhi, at the iconic 5.8 Undersea Restaurant, the world’s largest all-glass undersea restaurant. Experiences can be arranged after arrival at Komandoo Maldives but if you wish to pre-purchase or buy a special excursion for a friend or loved one then this can be arranged through Komandoo’s online gift store by purchasing a specific trip or simply a voucher the recipient can spend on anything they like. Is there a timetable of excursions?